I constantly pay respect to talented mc's that deserve credit regardless of when they came out. I do this by listening to their music and sharing it with people that may not know about it. So many people only know of T.R.O.Y. while CL Smooth remains below the mainstream radar and above the bar with talent. I decided to put together three tracks from CL Smooth that show how sick he is, was and forever will be. If nostalgia for 90's hip hop is real, then all the artists that contributed to it should get recognition. T.R.O.Y. (They Reminisce Over You) is easily one of the best music/video combinations I can think of. I wonder if people thought, "well they can't do better than that, so onto the next!" Also, check out two CL Smooth tracks embedded in this post and people can see what they may have missed since 1992. I grabbed the Man on Fire project by CL Smooth and I thought the same thing a couple years ago. How many times do I have to realize someone is dope to pay full attention? The track on Raekwon's mixtape called Silk did the job! 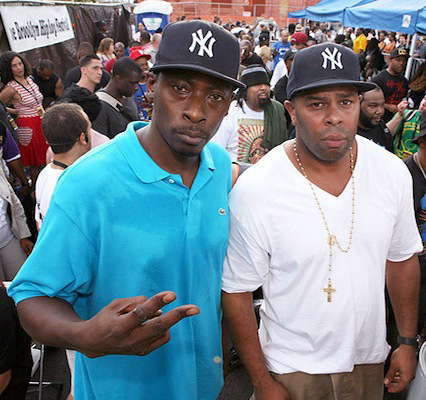 Pete Rock is the other half of the historic collaboration (T.R.O.Y.) and it would be a crime not to mention his contribution to the work. Soul Survivor II is a producer project where CL Smooth was a featured on several tracks. The embedded track is called Appreciate. CL Smooth knows how to evoke emotion though family, relationships or just telling stories in general. Story telling is a really important skill I consider when I think about what makes one mc better than the others and CL Smooth was proving it back in '04 (and ever since 1992). I posted an album review for Raekwon's latest project called Unexpected Victory, so I won't go into the details of that album again. But........the track featuring CL Smooth is evidence of 2012 dopeness coming from the veteran. I want to see a solo project from CL Smooth in 2012 to make it official! Too many artists like CL Smooth don't get the credit they deserve, so look out for his projects and support those that have proven their skill, don't sell out and stay true to their art.